Welcome to the first ever Family Friendly Stays link up! What is Family Friendly Stays? Family Friendly Stays is a monthly blog link up where you can share blog posts about brilliant places you have stayed at with your family. It’s also the place to come to if you need some holiday inspiration. Have you rented a great little cottage which had a perfect garden for your children? Maybe you’ve stayed on a campsite with the most amazing swimming pool which your kids loved. Perhaps you found that all-important villa which allowed you to walk to a restaurant or a beach. Or maybe you stayed at a hotel where the staff were particularly warm and attentive to your family. This isn’t the place for all inclusive resorts, big chain hotels or cruises. There are plenty of online resources where you can find out everything you need about those types of holiday. 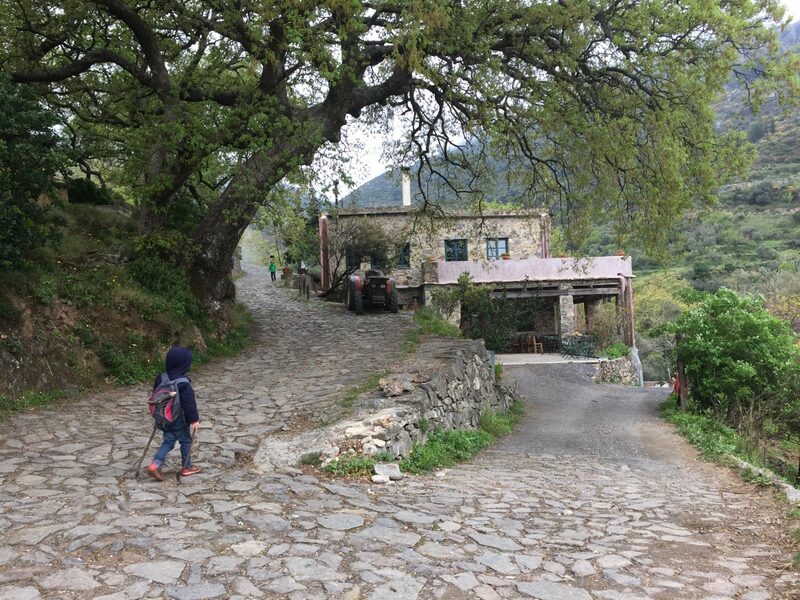 Family Friendly Stays is about highlighting smaller, harder to find places to stay. I’m hoping that Family Friendly Stays will become a community of like-minded parents sharing places to stay that genuinely welcome families. Posts can be old or new provided you still believe the property is suitable. And if you’re not a blogger, do drop by to have a read of some of the submitted posts, you might discover your next holiday destination! 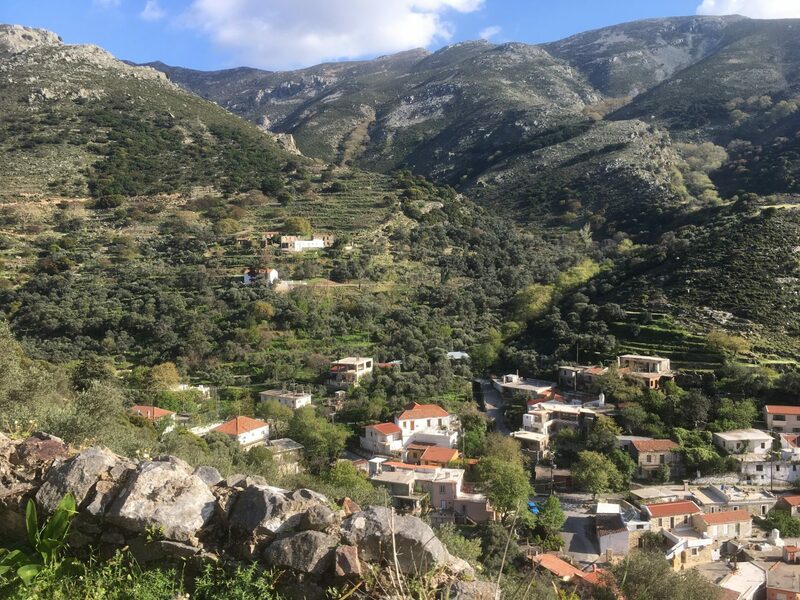 I’m linking up my review of Milia Mountain Retreat, a low-impact rustic hideaway in the White Mountains of Crete, my kids loved it. Family Friendly Stays will go live on the first Wednesday of each month. It will stay live for 2 weeks. Bloggers can link up one post, old or new. Please add the #FamilyFriendlyStays badge (details below) or link back to my site. Please read my post plus at least 2 others, using the hashtag #FamilyFriendlyStays. We want to share these wonderful places you’ve all discovered. Social media: tweet me your post with the hashtag #FamilyFriendlyStays and I will re-tweet it (@smudgedpostcard). 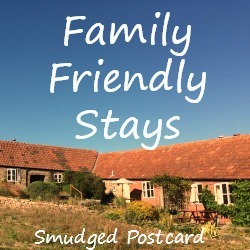 I’ll also be adding the posts to my #FamilyFriendlyStays board on Pinterest and mentioning my favourite posts each month on the @SmudgedPostcard Facebook page. great idea for a linky, it will such a useful resource for families planning holidays. Just to let you know that I seem to be locked out of my website at the moment so I can’t add the badge but will do as soon as I can get back in! Thanks! I look forward to hearing about your trip to Italy.